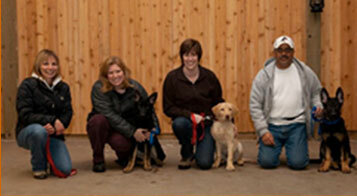 One of the most critical times of your dog’s life is at the age of 9 weeks to 15 weeks. 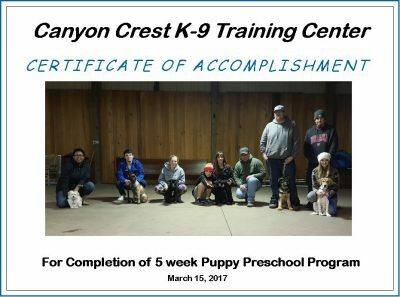 In order to get the right start, Canyon Crest has designed a Puppy – Preschool course to help give guidance to new puppy owners and teach them how to socialize and deal with everyday puppy problems in a very positive manner. 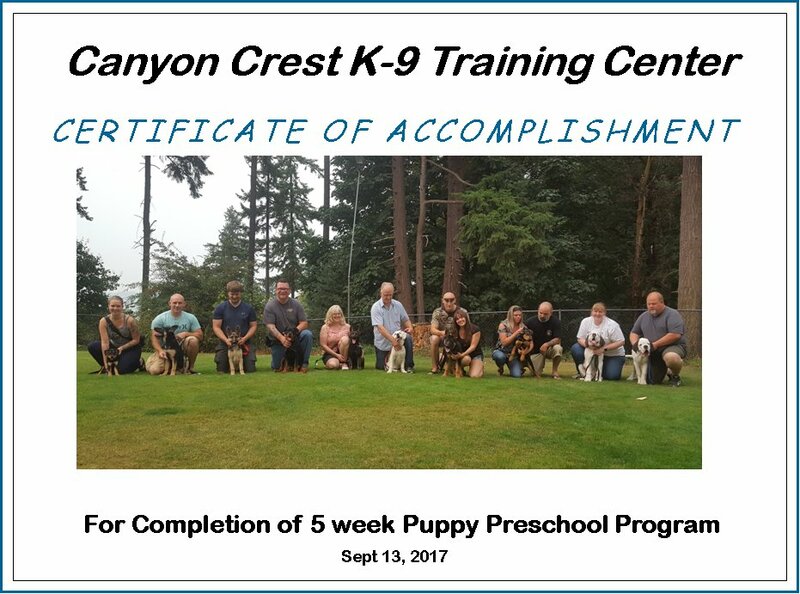 They will be able to interact with other puppies and humans in the beginning and at the end of each class. 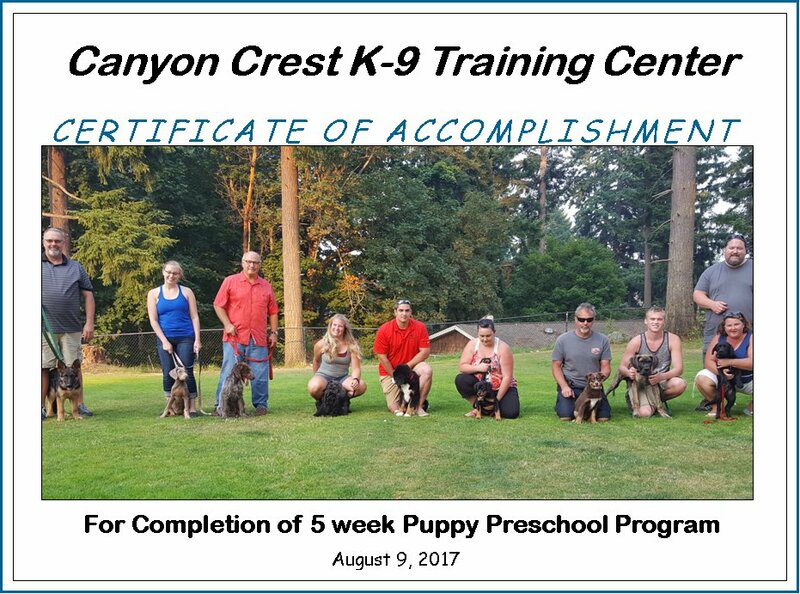 This class will build a strong foundation for any future formal obedience classes that begins at the age of 6 months. 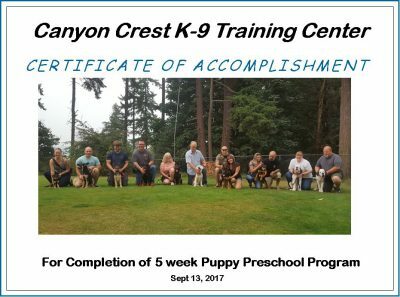 In this class we will be using your puppy’s food in our training technique to show direction a long with the leash. Because of your puppy’s age, food will be the beginning motivation gradually replacing the food with your praise and leash direction only. This way your puppy will not grow up depending on food but your praise. 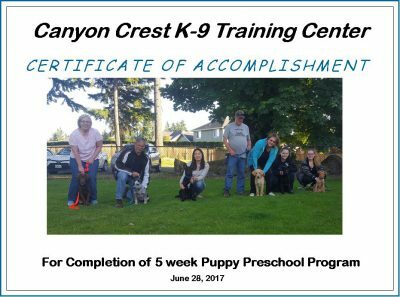 Certificates of Accomplishment: Click on Images to enlarge. 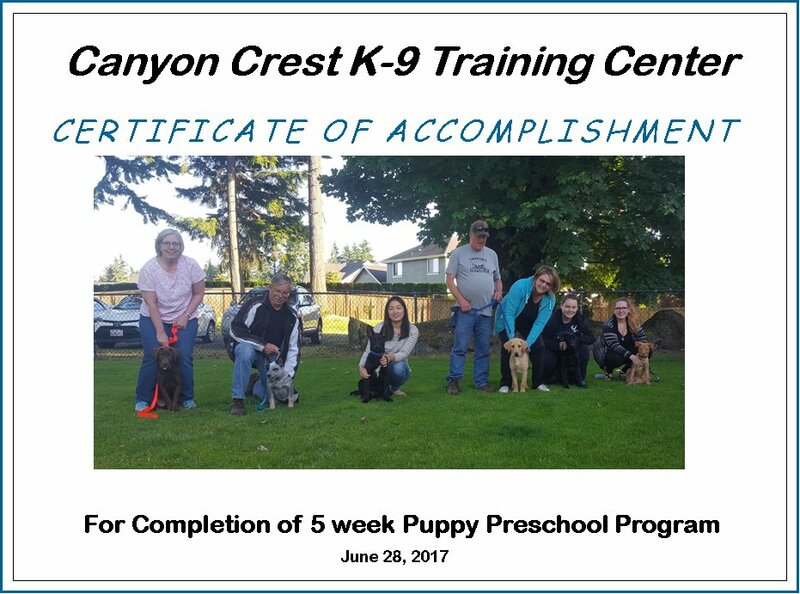 Training sessions includes an instructional booklet. 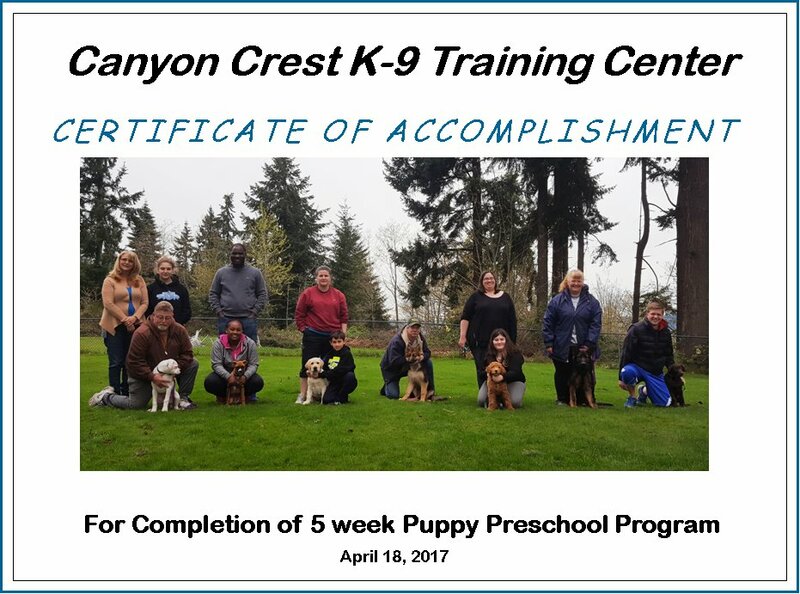 We also offer private puppy consultations if your puppy’s age does not match the class time. 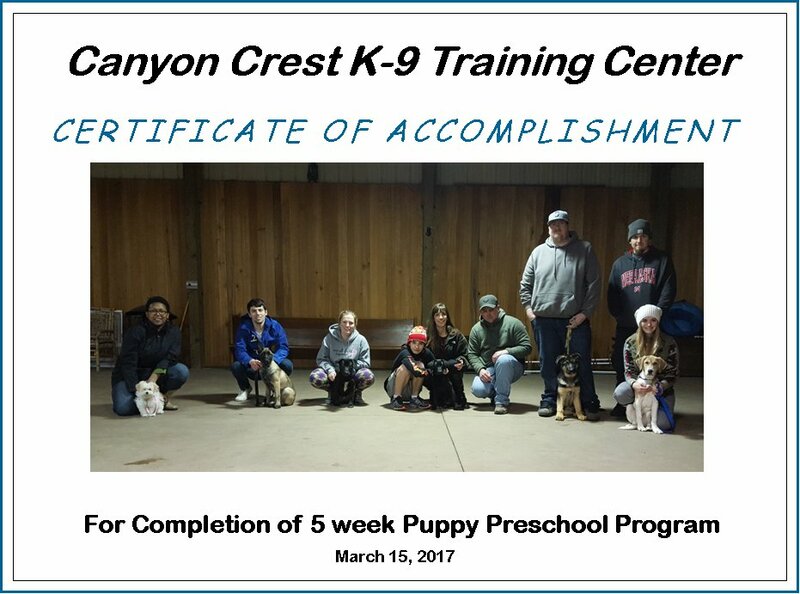 Classes are held for five consecutive weeks.